Home / SkinCare / Apple & Bears Honey & Hemp Luxury Body Care. Apple & Bears Honey & Hemp Luxury Body Care. Take your shower or bath routine to a luxurious level and experience new senses and sensations when incorporating Apple & Bears Mini Honey & Hemp Luxury Body Care. The honey and hemp body wash is full of natural vitamins and minerals to revitalise skin whilst also protecting it. Formulated for men and woman, the skin loving body wash features known organic ingredients that are suitable for all skin types. Organic honey is naturally antibacterial, great for acne types, whilst also slowing down ageing and being extremely soothing and moisturising that creates a skin glow. Anti-oxidant hemp which is rich in vitamins A and E is also high in minerals such as calcium and magnesium to aid dry skin types. The body wash is Paraben, SLS, Phthalates free, whilst also being alcohol and fragrance free, making it an ideal body wash choice even for the most delicate skin. You only need a tiny amount to experience the benefits of the Apple & Bears Honey & Hemp Body Wash, taking a loofah or your hands, the body wash lathers with minimal effort. The natural fragrance is highly pleasant to your senses, whilst the body wash glides over skin feeling luxurious. Rinsing off, your skin feels cleansed and revitalised without feeling stripped of it moisture. My skin did feel soft and smooth with an added healthy glow without any other products being applied. The Apple & Bears Honey & Hemp Luxury Body Silk is a non-greasy light body lotion. The silky consistency glides over the skin with ease delivering nutrients to supercharge and hydrate your skin whilst the subtle natural fragrance pleases your senses. Hemp's natural ability to detox and sooth, whilst honey hydrates, both ingredients work in harmony together to nourish and renew your skin to also tighten and firm. Applying the body silk after you have used any Apple & Bears body wash will ensure best results. The Apple & Bears body silk applies really well with minimal effort. Taking one pump to glide over your skin, the natural fragrance is a pleasant delight. Sinking into the skin there is no detectable state of the body silk present, just smooth hydrated skin without any stickiness or that greasy feeling. You can apply the body silk throughout the day if you need an instant skin fix of hydration. 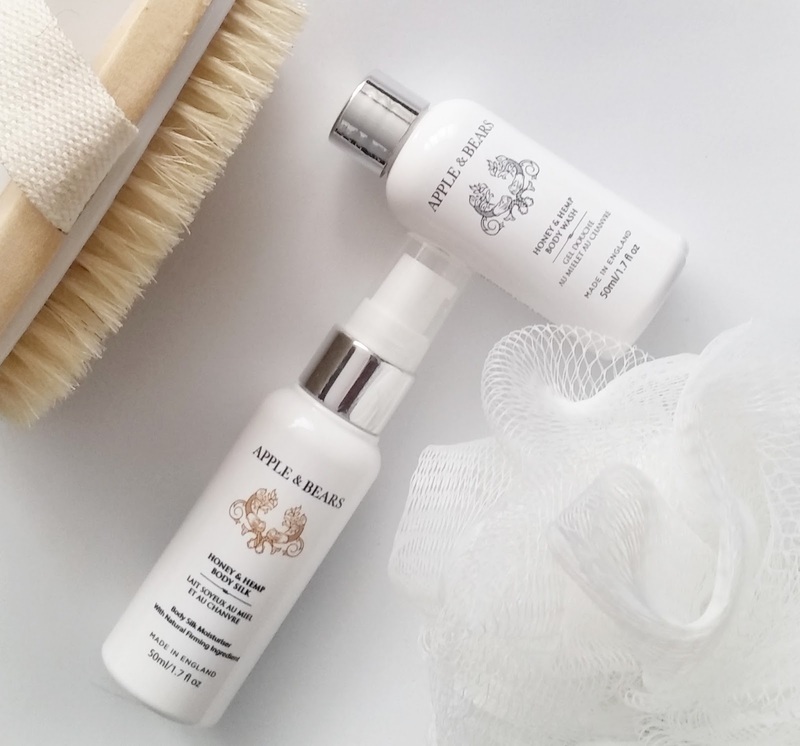 Apple & Bears presents a range of luxury body care, made from natural and organic ingredients, whilst also donating a portion of profits to worthy causes. The exclusive Luxury Body Care Collection – created for today’s ethical man and woman is Made in the United Kingdom, their environmentally friendly collection promotes a healthy skin and planet by using the finest sustainably sourced and Eco-certified natural and organic ingredients that harness the healing powers of nature, whilst remaining true and gentle to your skin. Pure, natural extracts and gentle aromas cleanse, nurture and nourish your skin for an indulging and renewing body care experience. Check out the luxury body care range to nurture your skin the natural way at ManOrganic. X Neil.